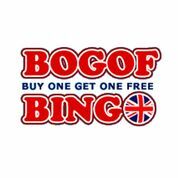 Everyone loves BOGOF Bingo because this is bingo you play where you get two for the price of one. But what if you could get BOGOF Bingo, all day, every day – would you play? Of course you would and this is the name of the site of one of the most popular places to play bingo in the UK. The site where DJ Talent calls the numbers and he probably plays a few bingo games too. They offer wonderful daily, weekly and monthly specials as well as all the BOGOF bingo you could possibly want to play. This month this bingo site is offering two winners the opportunity to grab a fabulous Polaroid 300 Instant Analogue Camera with 10 sheets of Instant film. Capture all your Halloween fun on film and develop it right away. There are also two HMV vouchers, valued at £50 each – perfect for stocking up on all your favourite DVD films for those long winter nights ahead, when you don't feel like playing bingo. There are also ten prizes of £20 cash credited to runners up accounts. To be in with a chance to win in this perfect prize draw deposit and spend £25 this month (October). Last month's winners took home two Nintendo DSi XLs, gamers, two new Magic Wand universal remote controls and ten £20 cash bingo bonuses. The Monthly Free £1,000 is another game not to be missed, so simply register to play at this site to automatically qualify for the draw. It is only for new BOGOF Bingo players and the winner will take home £250 cash; ten runners up each receive £25 and fifty more winners are drawn to each receive a £10 prize. Also not to be missed is the TV Thursday game where they give away an astounding 22-inch LCD, HD-ready TV with built-in DVD player and Freeview.